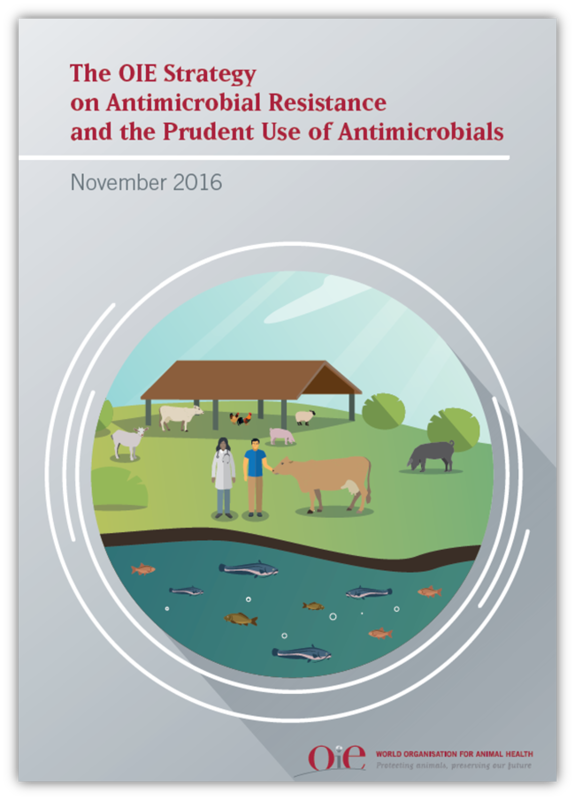 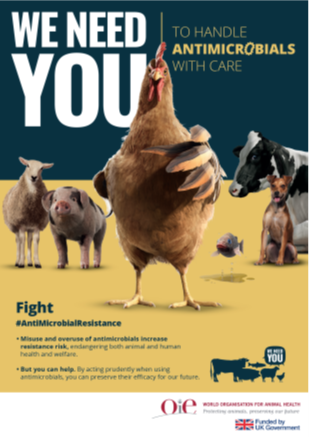 The World Organisation for Animal Health kicks off World Antibiotics Awareness Week 2018 with a call to action for all animal health stakeholders: “We all have a role to play to protect these invaluable medicines”. 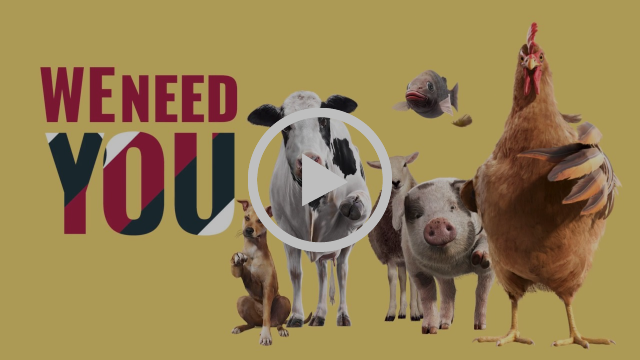 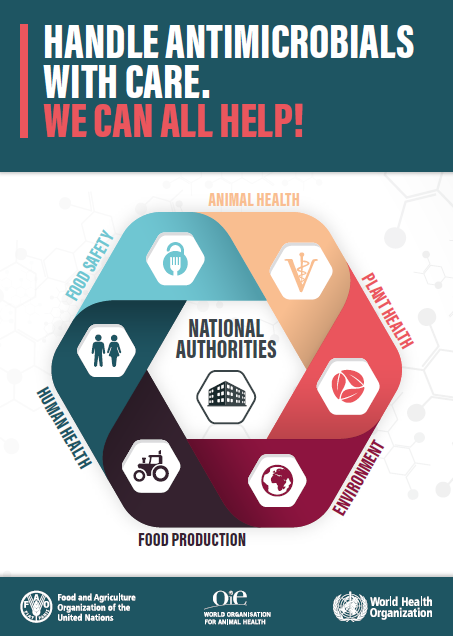 To support these efforts, the OIE has developed the WE NEED YOU communication campaign to help stakeholders protect the efficacy and availability of antimicrobials by promoting the actions to be implemented by each player. 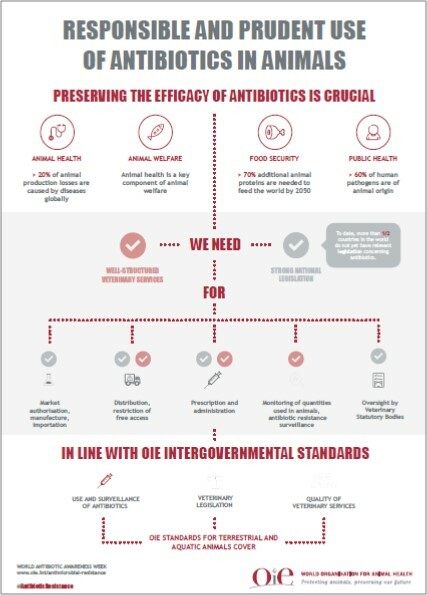 The complete toolkit, built on the basis of the OIE international Standards, is now available on the WE NEED YOU campaign website at www.oie-antimicrobial.com. 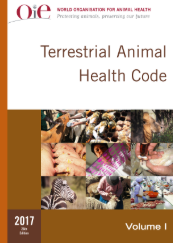 Copyright © 2018 OIE, All rights reserved.